Spring is in the air – we can feel it! And with it, we’ve seen a little extra spring in athletes steps this week. Even if it is recovery week and we know a lot of you feel tired, we’ve notice the little smiles. 🙂 The sun makes it so much easier to get out of bed in the morning and enjoy an easier training session or two this week. So make the most of the sunshine, soak up some Vitamin D and enjoy some training and leisure time outside this week. 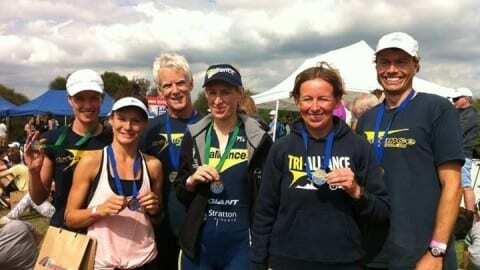 We had another great weekend of training and racing last weekend. 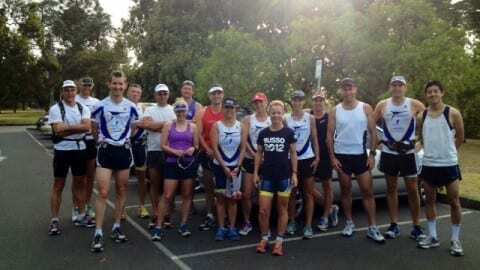 Some solid reports coming out of our Saturday rides, and some great times at Sunday’s deCastella Run around Kew Boulevard. A tough hilly course kept athletes honest and working the whole race. But despite this, and the efforts of all athletes on their rides the day before, we had some super strong results – particularly from our advanced short course athletes. Stand out performance of the day was Xavier Flynn who cracked the 17min barrier and showing that his patience and hard work is paying off. (For those who want the math, that’s 3:23min/km average!) Harry, Ryan, and Mark all also broke the 18min mark for their 5km race averaging around the 3.30min/km for their run, and Tim French had a solid 15km run to come well under the 60min mark. Great work all. Great early results, the consistency and training programs are working wonders. Can’t wait to see these guys in action over summer. A shout out to all our ‘Father’s’ out there – as this Sunday is Fathers Day. We wish you all a Happy Fathers Day and enjoy the day in the sun with your families. Our last Run Time Trials for the season this Thursday. Results will be used to develop your training paces and zones for your next block of training. So make sure you don’t miss out on doing yours this Thursday Night. Nick and Marina have already made their way over to Vegas and are familiarising themselves with the location and heat. Ella follows this Saturday, with Dave heading over next week. We’ll provide details next week on how you can follow their progress online. Just over two weeks until race day, and for most around a week before they jet off to the UK for this big race. What an experience our athletes will have, racing on the Olympic Triathlon Course. One to remember for a lifetime. Stay tuned for more details over the coming week. 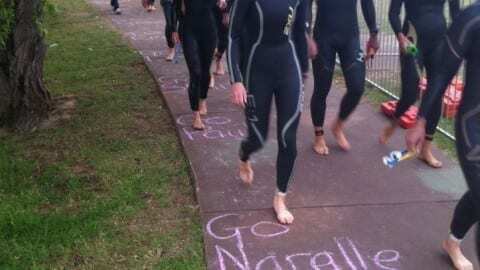 Racing: Charlie Nathan, Catherine Allison, Natalie Methven and a big TA QLD contingent! 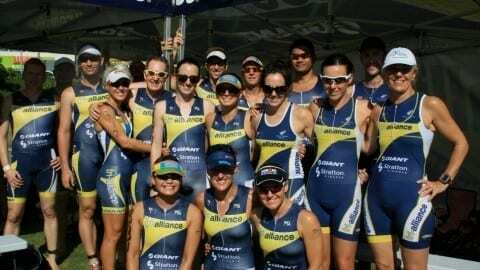 These athletes are looking forward to heading up to the Sunny Coaast of Mooloolaba to soak up some rays and enjoying a race at the same time. Catherine has been training super strong and we look forward to seeing her in action. Charlie has been putting in some solid training with our Advanced short course crew and great to see Nat back in action. 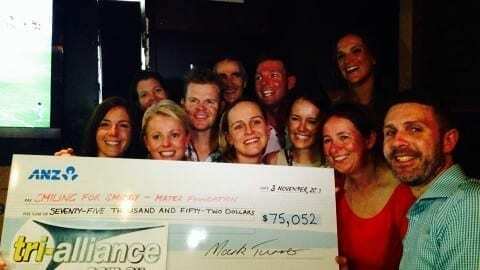 These athletes have been putting in the hard yards over the last few months and are looking strong. With their final build over the next 5 weeks before they head over the acclimatise. Brett and Sarah are also heading up to Port Douglas next weekend for a Half IM Distance race and get some heat as part of their lead up. Stay tuned on a preview we’ll do with these athletes to get an insight into what it takes to prepare for such a big race. We are having some technical difficulties with our Online Training Timetable and apologise that details are not updated for next week as yet. We are currently working with our IT developers to have this fixed. Sessions however are as normal – apart from one change. TUESDAY AM RUN SESSIONS from MSAC – will now commence at 5.50am sharp. So make sure you arrive at 5.45am for a 5.50am run start. And good news that the MSAC Indoor pool will revert back to a 50m Pool from next week! Training and racing specific group discussions with our Coaches. Click here to RSVP and reserve your place – you don’t want to miss out! 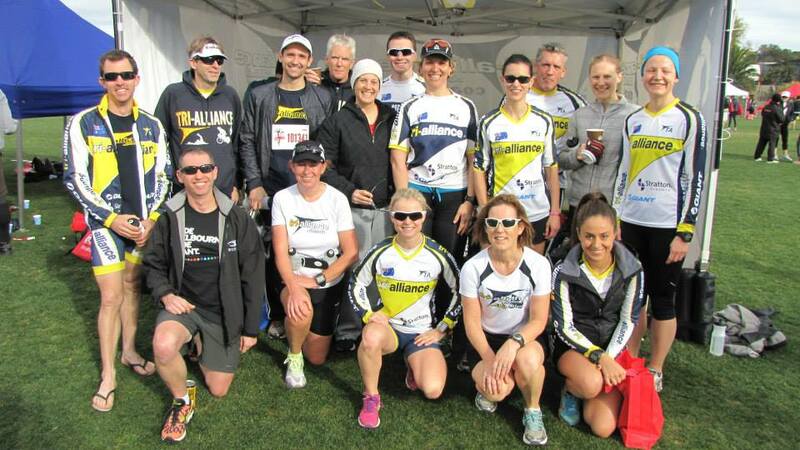 MELBOURNE MARATHON – VOLUNTEERS WANTED!! Lead & Tail Bikes 7 Required – Must be available on event day and one other suitable time to complete a course recon, own MTB bike required however if you don’t have a bike please contact the office as we may be able to help. 2 Drink station Manager – Must be available on the day and to attend a couple of meeting pre event day. Volunteers to set up, serve and clean up the Fitzroy street drink station 7.00am-11.30am. You’ve asked – and we’ve delivered. Our new custom designed elite bib knick are the ultimate knick for those long rides. With an ultra-comfortable and form fitting chamois, form fitting leg cuff with gripper, and ultra-durable lycra – you won’t want to ride in anything else. Limited supply in stock, so Click here to order online today before they sell out! As new 2012 Giant Trinity Composite – ONLY $1,699 ! ! Immaculate Condition having raced only twice in the 2012 season. This TT bike has been loved by its owner for its stiff and aerodynamic build. It handles particularly well on corners and feels stable descending. This is a great Entry Level Time Trial Bike and at this price you cannot go wrong! Contact [email protected] or phone 0407888680 for more details. Meet: The Great Provider. Plenty of off street parking. Meet: Cnr Kerford Road and Beach Road (beach Side). We’ll be running along the beach and return back for a leg soak in the beach and coffee post run. 7.50am briefing for 8.00am start, Coach Ollie. 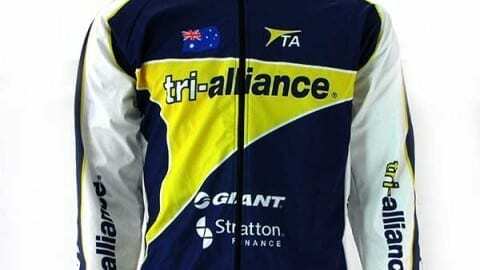 Contact Tri Alliance if you are looking for triathlon training in Melbourne, beginner triathlon programs, online triathlon training programs or you are training for an Ironman.